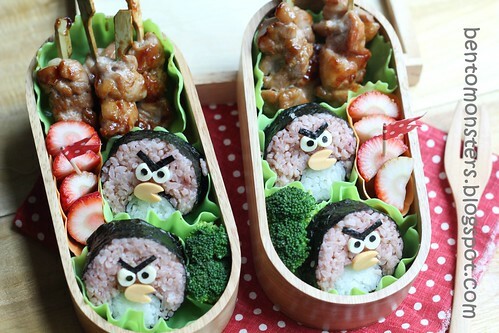 For lunch, the boys had sushi with broccoli, chicken yakitori and strawberries. 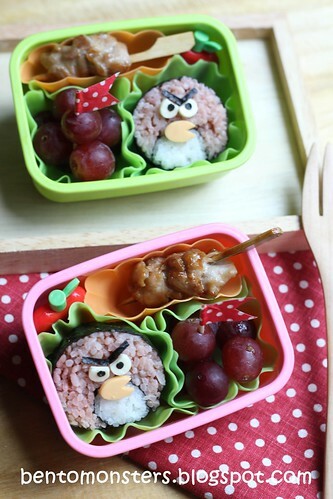 For School, they had sushi, chicken yakitori and grapes. 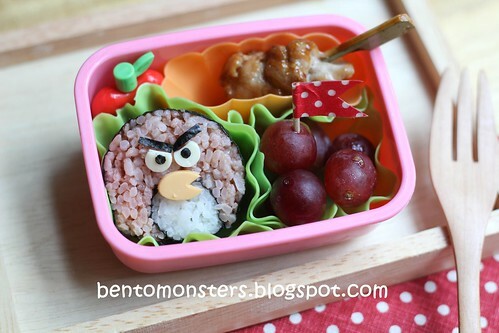 This angry bird is very cute! 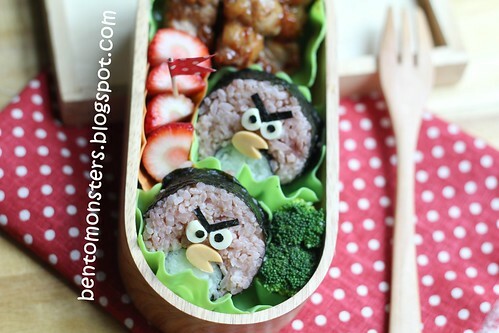 I shall try make angry bird too! the birds indeed look super angry. lol! So cute! I will have to try this sometime, thanks for posting! 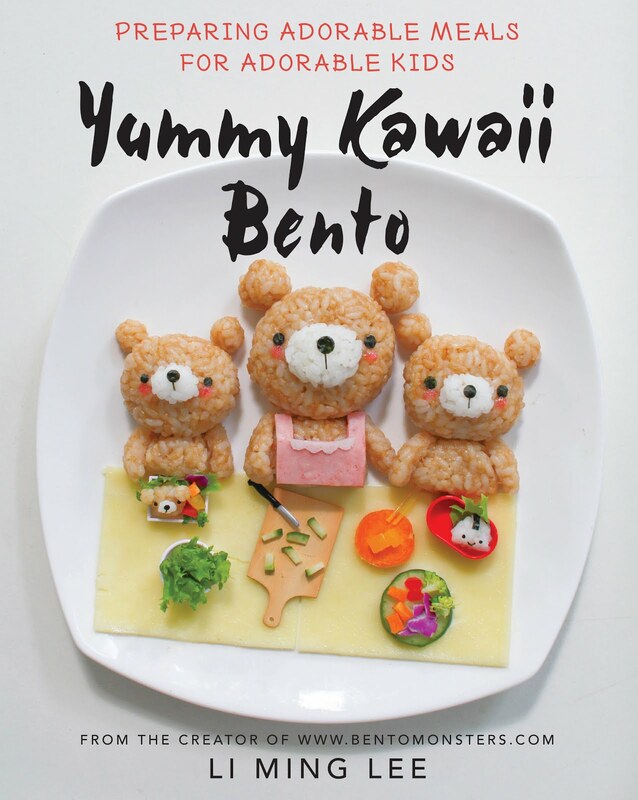 So cute and fantastically clever! My kids will LOVE this one!